At one point in his Penn State career, quarterback Christian Hackenberg was considered a first-round NFL draft prospect. Fast forward to 2019, and he’s hit a new professional low point. The No. 51 overall pick by the New York Jets in 2016 never threw an NFL pass and was last seen in the league on the Cincinnati Bengals practice squad in 2018. He recently signed with the Memphis Express of the upstart Alliance of American Football. But he lost his starting job there on Monday, when head coach Mike Singletary announced that former LSU quarterback Zach Mettenberger will be the starter next week. 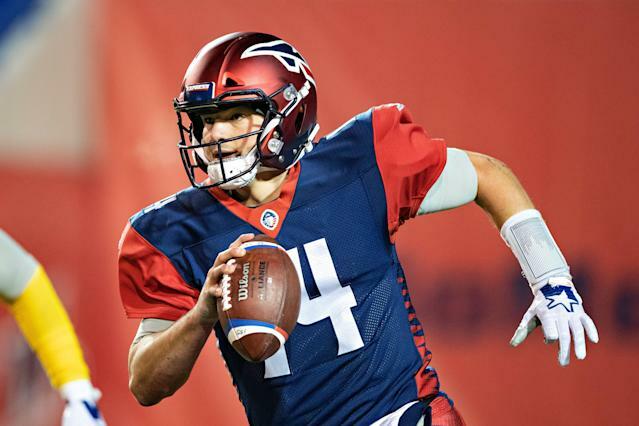 Hackenberg went 8–for–14 with 88 yards and two interceptions in the first half of Saturday’s 21-17 loss to the Orlando Apollos. Singletary replaced Hackenberg with Mettenberger with the Express trailing 9-0 at halftime. Mettenberger staged a rally that fell short with 120 yards and two touchdowns in the second half.